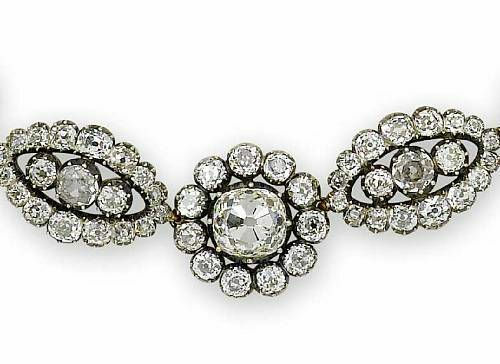 A magnificent late art deco diamond ring is the highlight of the Bonhams Fine Jewellery sale which will take place in New Bond Street on September 22nd. 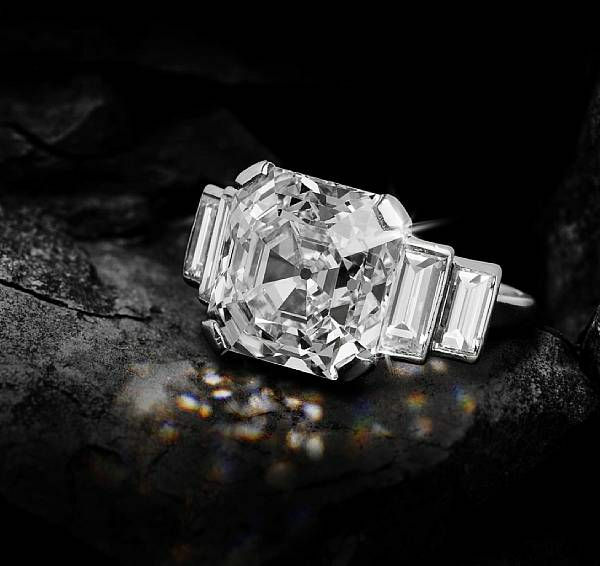 The Asscher-cut diamond, weighing 6.82 carats, is D colour, potentially flawless and Type IIa. 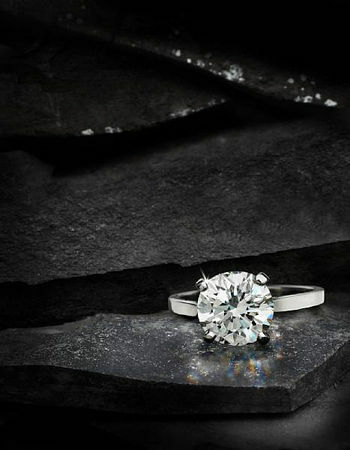 Type IIa diamonds are the most chemically pure type of diamond and possess exceptional optical transparency. 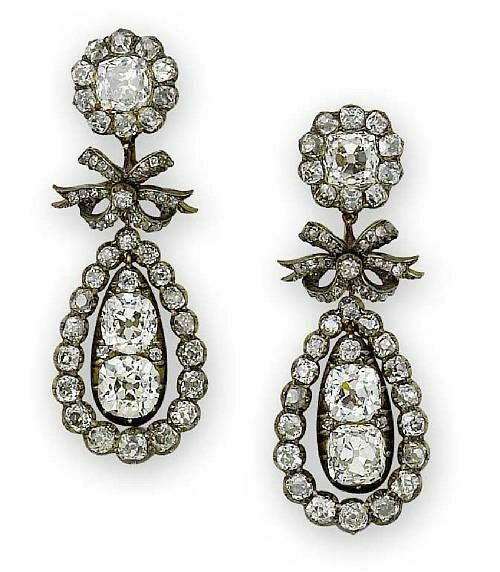 Famous gem diamonds that are Type IIa include the Cullinan I and the Koh-i-noor. 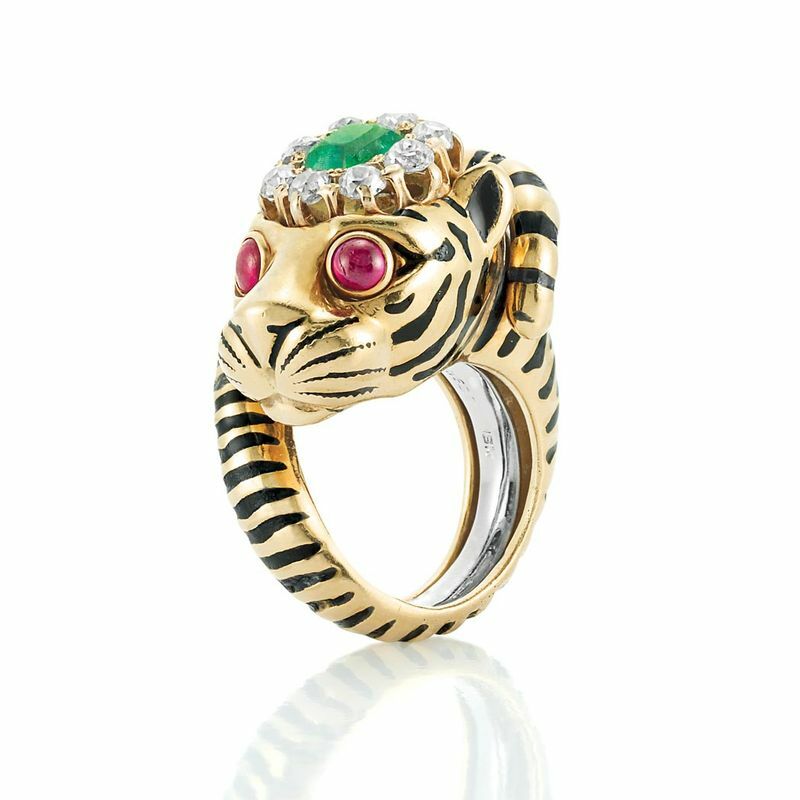 This ring, estimated at £150,000-200,000, has never before been seen at auction and its colour, clarity and shape are exquisite. Accompanied by a GIA certificate stating that the diamond is D colour, VVS2 clarity, potentially flawless. Certificate number 110202035801, dated 14 June 2010, also accompanied by a GIA certificate stating that the diamond is type IIA. Certificate number 2125219268, dated 10 June 2010. The brilliant-cut diamond, weighing 3.00 carats, within a four-claw setting, to a plain hoop, ring size M. Accompanied by a GIA certificate stating that the diamond is D colour, Internally Flawless clarity. Certificate number 13374015, dated 14th July 2010.
and a pear-shaped diamond, weighing 5.00 carats, D colour, VS2 clarity, estimated at £80,000 – 100,000. 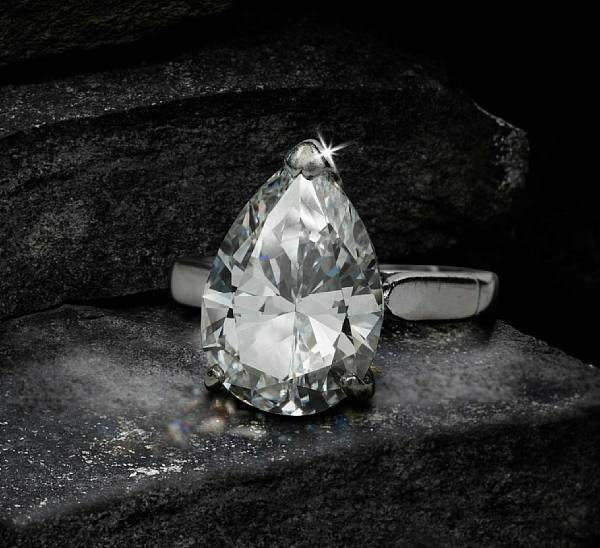 The claw-set pear-shaped diamond, weighing 5.00 carats, to a plain hoop, ring size D. Accompanied by a copy of a GIA certificate stating that the diamond is D colour, VS2 clarity. Certificate number 8342229, dated 5th April 1993. 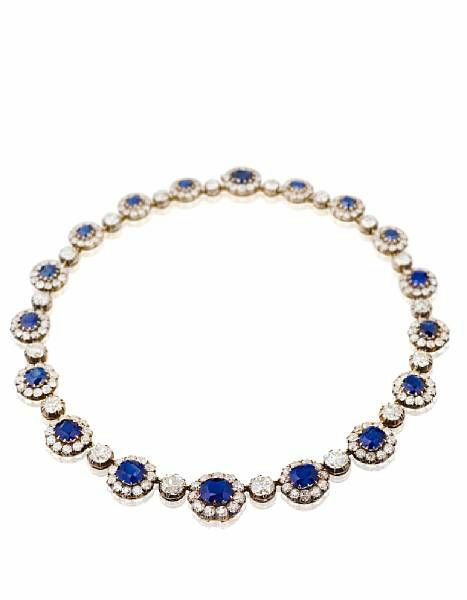 Bonhams is also delighted to present a superb selection of antique 19th century jewellery, which is seen increasingly infrequently on the market. A late 19th century sapphire and diamond necklace, estimated at £45,000 - 55,000. 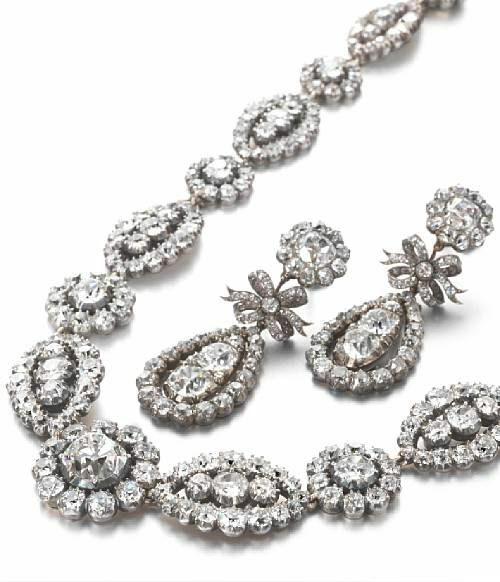 And an early 19th century diamond necklace with circular clusters of cushion-shaped diamonds, estimated at £25,000 – 30,000, are both outstanding examples of their type. 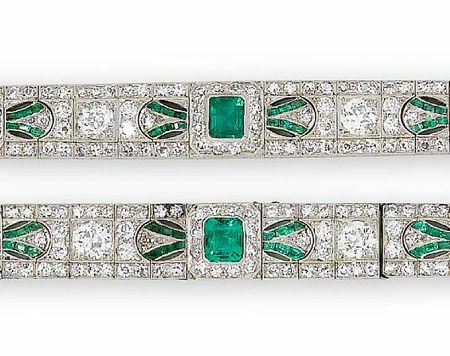 A further highlight is an early 20th century emerald and diamond choker/ bracelet combination. This fantastic piece is estimated at £10,000 – 15,000. 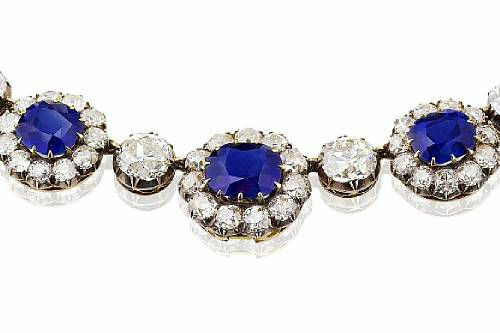 A rare catalogue of Henry Philip Hope's collection of pearls and precious stones will also be offered in this sale. 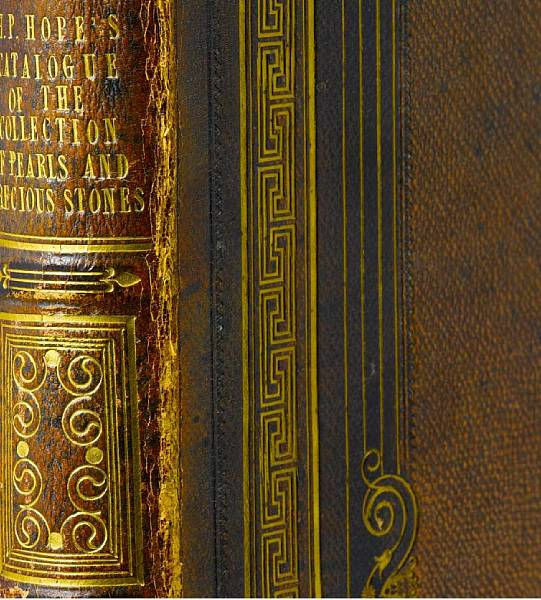 Published in 1839, this volume sets out his celebrated collection in its entirety, including the famous Hope Pearl and the infamous Hope Diamond, the extraordinary blue diamond of 45.52 carats, once believed to be cursed, which had been part of the French crown jewels and is now in the Smithsonian Institution in Washington. 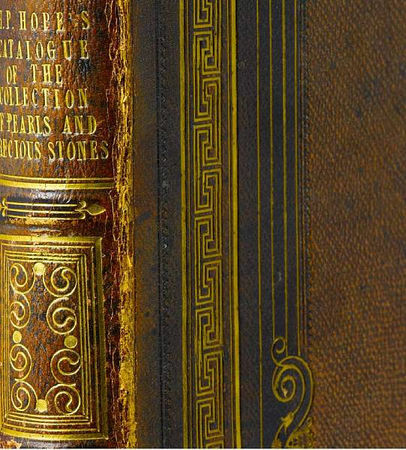 The book, which belonged to the Hope family and has since passed by descent to the vendor, is estimated at £2,000-3,000. 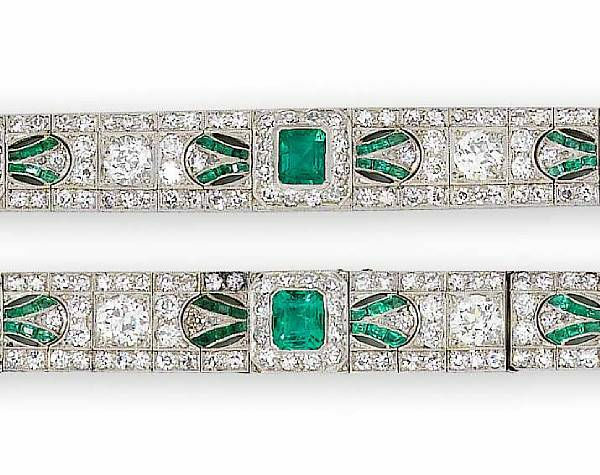 Henry Philip Hope, of the renowned Anglo-Dutch banking family, was a patron of the arts and a great connoisseur of gems and jewellery. His celebrated collection included the famous Hope Pearl, a very large natural saltwater pearl, and the infamous Hope Diamond, the rare blue diamond of 45.52 carats, believed to be cursed, which had been part of the French crown jewels and is now in the Smithsonian Institution. After his death in 1839 his collection was eventually divided between his three nephews. 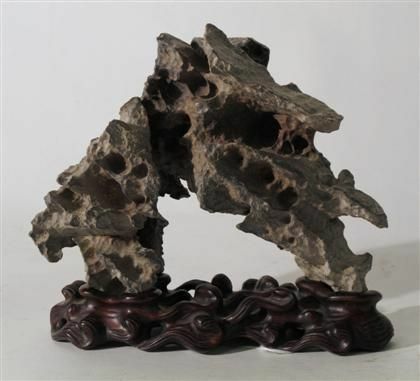 Items of furniture and works of art belonging to the Hope family will be sold by Bonhams on 3 November 2010. Jean Ghika, Director of the Jewellery Department comments, "we are delighted to be chosen to handle the sale of such an exceptional selection of diamonds and antique and period jewels and anticipate they will be strongly competed for on the day of the sale".